Another great achievement this spring for VIENNA Advantage! We are proud to announce that for the second year in a row, we have been awarded by Initiative Mittelstand for “Most Innovative ERP Solution”. Since 2004, the Initiative Mittelstand awards are granted to particularly innovative IT solutions with high value for the small and mid-sized enterprises (SMEs). Companies of all sizes who have developed an innovative medium-sized IT solution can apply. And the competition is very fierce and intense. The best innovations are presented in different categories – from apps to e-commerce and IT security to knowledge management. This year we are happy to announce that the expert jury awarded VIENNA Advantage with the BEST OF 2018 rating in the ERP category. An independent expert jury consisting of high-profile professors, IT sector experts, scientists and journalists assesses all submitted products and solutions – for maximum objectivity. 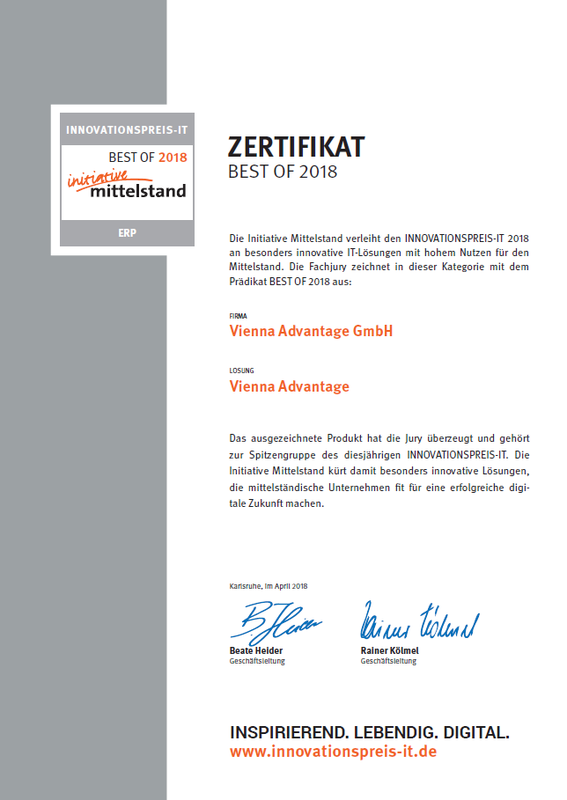 Being the first open source ERP/CRM solution with inbuilt enterprise level document management system and business intelligence platform, available on the cloud, VIENNA Advantage was recognized as excellent product and convinced the jury to award it with the BEST OF 2018 rating in the ERP category. The Initiative Mittelstand offers especially innovative solutions that help medium-sized companies fit for a successful digital future. The selection criteria is very rigorous. What counts is the innovation content (novelty, product maturity and future orientation), the benefits (recognizable benefits, impact on profitability, efficiency improvement) as well as SME relevance (relevance for SMEs, practicability, implementation) of the submitted solution. We would like to express our most sincere appreciation to Initiative Mittelstand and their jury for recognizing our hard work and including us among their list of “Best ERP solutions in 2018”. 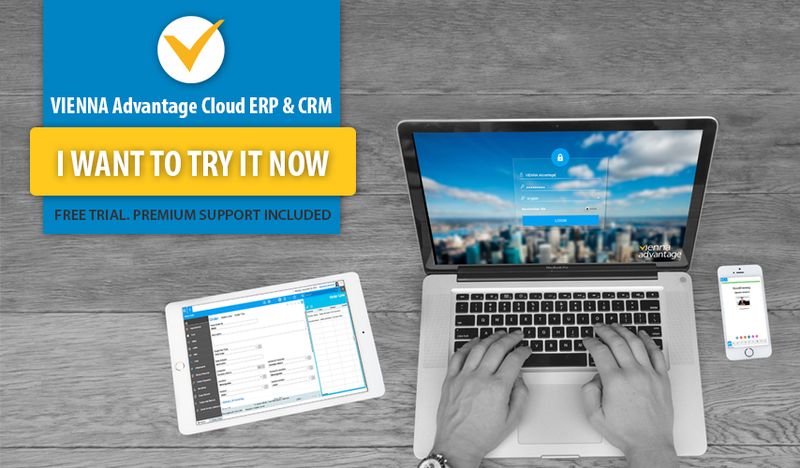 Experience the award-winning ERP/CRM features praised by the Initiative Mittelstand experts – try VIENNA Advantage Cloud ERP/CRM for free! No credit card required. No hidden costs. Premium support included!